Well, this is neat. HBO are planning to release a new Game of Thrones Compendium late next year - the twist being that it's packed solely with content created by fans of the books and TV series. Starting next week, you can start submitting your own work for it! 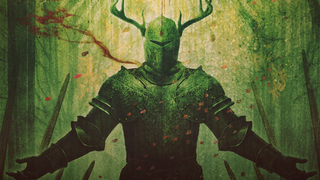 Header Image Credit: The King of Summers End by Jason Engle, from Ltd Art Gallery's A Song of Ice and Fire show earlier this year. Starting next week, December 19th, until March 28 2015, you'll be able to submit work on the Compendium's new website in six categories: Music, Art, Costume, Food, Craft, and Analysis (yay!). After the cutoff a council of editors will sort through all the submissions and decide what goes into the book when it releases in December 2015. People who do get selected will get an author credit as well as a copy of the finished book when it's released - which isn't getting paid or part of the profit from the book, but still something. Still, it's an interesting idea for HBO to approach. Can fans get a book of their own put out before George R. R. Martin can finish the next book? We'll find out next year.